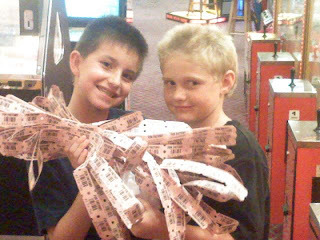 David's Blog: Julian & Kyle hit the jackpot at Fun Factory! Julian & Kyle hit the jackpot at Fun Factory! They just won 1,000 tickets each!